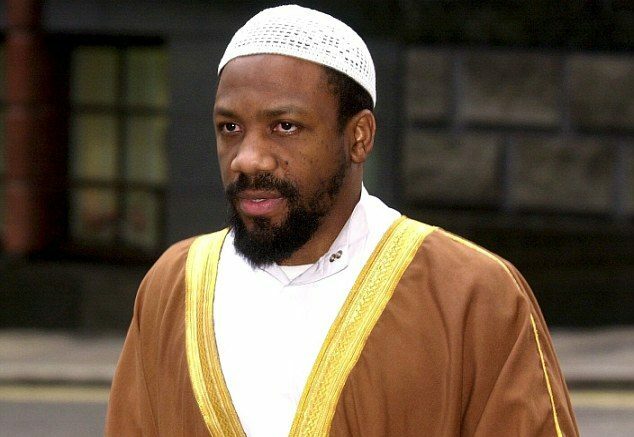 The self-styled “Sheikh” Abdullah Faisal, a hate-preacher who was convicted of soliciting murder in 2003, was deported to Jamaica from the UK last year. But he has moved on and is now preaching in South Africa. I had last seen him in the dock at the Old Bailey where he was convicted of soliciting murder in 2003. 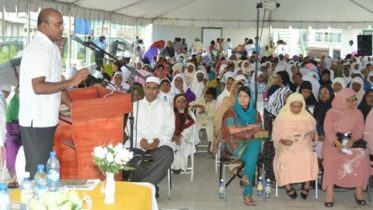 Now Abdullah Faisal was at the West Street Mosque in Durban, a bustling port city on South Africa’s south-east coast. He is a man blamed for nurturing the extremism of the 7 July bombers, among others. And during our interview, he admitted for the first time that he was close to one of them, Germaine Lindsay, although Faisal says he advised Lindsay to pursue a life of quiet study. He said he would be not be preaching about jihad in Africa, but had his hate-filled rhetoric really been toned down? That evening we drove out to the green hills on the edge of Durban. Faisal was speaking at the MA Motala Islamic Centre, a boarding school for Muslim teenagers. After football and prayers the boys sat cross-legged on the floor while Faisal spoke to them about “shirk” – the sin of worshipping Gods other than Allah. There was none of the trademark talk of violence against the Kafirs (unbelievers). But it was bizarre to watch a man who was thrown out of Britain for inciting young Muslims to kill Hindus, Jews and unbelievers speaking to schoolboys in South Africa. He had been deported four years into a seven-year sentence, and in theory could still be in prison for hate-preaching. That night I was invited for dinner with one of Faisal’s hosts. But food was only forthcoming after Faisal had spoken again, this time about the “natural instincts” of human beings. The lecture included a section in which Faisal blamed paedophilia among Catholic priests on their celibacy. “Monkishness”, he said, was wrong. By the time Faisal had got to the seventeenth human instinct I was famished, and when he finally finished and asked if there were any questions the whole room mercifully remained silent. The next day Faisal preached at Durban’s North Beach Jamaat Khana Mosque. The subject should have been non-controversial – the uplifting Surah 93 of the Koran. But in the middle of the sermon he suddenly became fired up, waving his hands. “The Kafirs are jealous, and they are panicking. Why are they panicking? Because Islam is the fastest-growing religion in the world today. “And they think Islam is coming to pull the rug from underneath their feet. Faisal likes hatred. He hates unbelievers and assumes they hate Islam. He says hatred is a human instinct. Later that day we sat down for two long interviews back at the West Street Mosque, an elegant colonial building that has seen better days. Faisal said he was in Africa because the people there were more spiritual and more receptive to his preaching. His next stop was Nigeria. He denied ever calling for the killing of unbelievers, Hindus and Jews. He said his sermons had been taken out of context. That had been his defence at his trial, but the jury had disagreed. He insisted he had not radicalised the 7 July bombers. He had advised Germaine Lindsay to go to Saudi Arabia to study, he said. But the studying did not happen. On 7 July 2005 Germaine Lindsay blew himself up on the London Underground at Russell Square, killing 26 commuters. “I was hurt by it but I wasn’t shocked,” he said. “Because nothing shocks me any more. Abdullah Faisal was engaging and open, but in the end I was never sure that I believed what he was saying. At no point in two days did he ever make eye contact with me. He is certain that he is right, and any questioning of his views is rejected. He believes his interpretation of the Koran is the only correct interpretation. His combination of casual hatred and absolute certainty remain a dangerous mix as he tours Africa. Be the first to comment on "Deported to Jamaica – Preaching in Africa"